B.O.M. This Paloma del Sol gem is located on a low traffic interior location and backs to a large greenbelt. With over 1500 square feet this home offers tons of natural light with cathedral ceilings, laminate, tile floors and plush carpeting. This home features 3 bedrooms, 2.5 baths and a living/dining room that looks directly into a friendly and spacious backyard that's perfect for entertaining. It also has a den with gas fireplace & the kitchen offers tile counters, lots of storage space, breakfast nook and bar. The large master suite comes complete with a walk-in closet, vaulted ceilings, and a private master bath with dual sinks. The other upstairs two bedrooms both offer ample closet storage and overlook the front yard. Low taxes and HOA dues make this home even more desirable! Located in the highly desirable master planned community of Paloma del Sol that offers five swimming pools, 100 acres of parks, greenbelts, walking trails, playgrounds basketball & tennis courts. 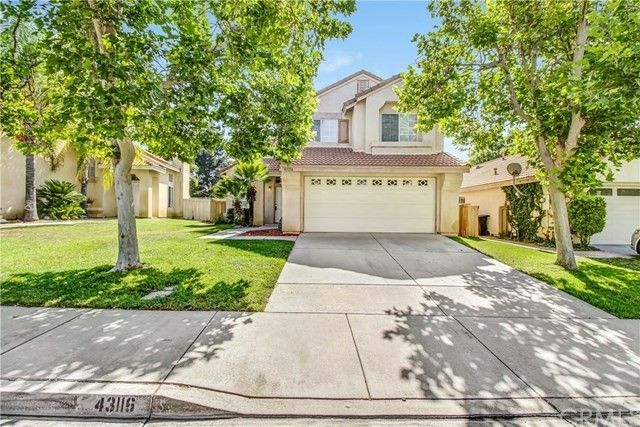 Walking distance to Paloma Elementary & located in the award-winning Temecula school district. Close to wineries, shopping, restaurants. Don't let this one slip away.